Zanda county through the forest soil ditch, ‘pocket’ instantly presented in front of this town is empty and serene, has been walking along the bare soil Street, soon will be able to see that statue in Torrington Square has a symbolic significance elephant sculpture, sculpture next to the Tuolin Si Ali area people’s pilgrimage to the Holy Land. 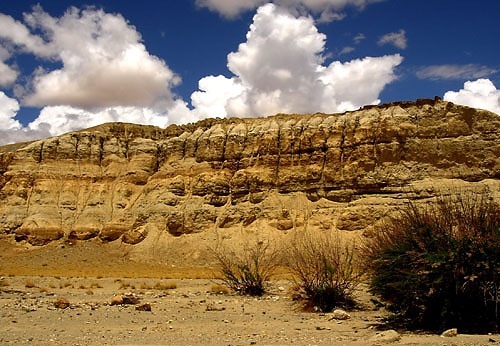 The clay forest, formed by erosion of water, is called in Geology “the Level Terrane Physiognomy”. It is the sediment stratum, composed by sandstone and clay. 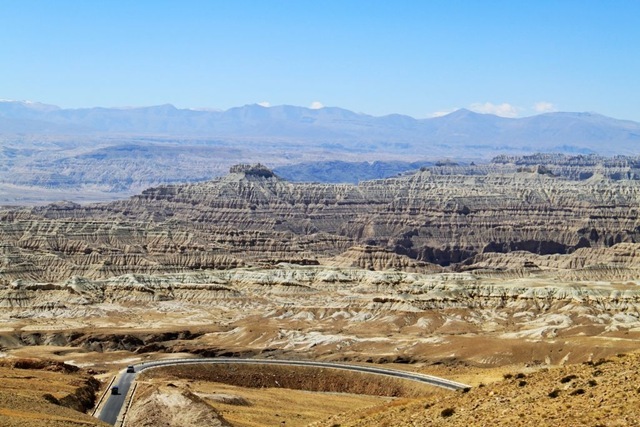 Because the Level Terrine and sandstone are of quality easy to develop upright, the valley is deep with canaliculus can reach 100 to 200 meters. The Zanda soil forest landscape in the feet of Himalayan Mountain tops, in Zanda County of Ali Prefecture, China’s Tibet Autonomous Region. Resulted in the geographic changes throughout the Himalayan orogeny, the landscape forms a distinctive and magnificent scenery. 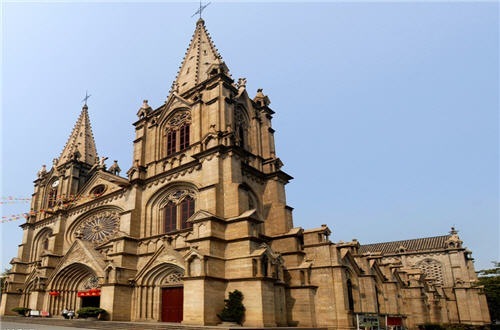 The Cathedral of the Sacred Heart of Jesus (耶穌聖心主教座堂) is a cathedral in Guangzhou, southern China. It is located at #56 Yide Lu, Guangzhou, on the north side of the Pearl River, a short distance from Shamian Island. Sacred Heart Cathedral held the foundation stone laying ceremony on June 18, 1863 officially sacred holy day, so the name of the sacred heart cathedral. 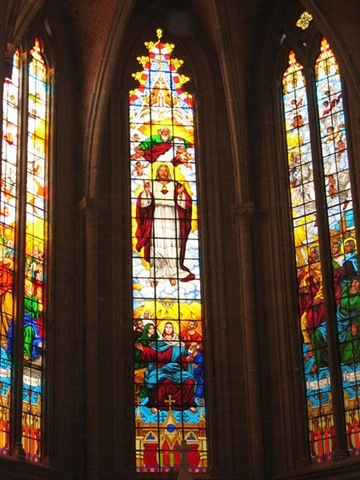 The Cathedral of the Sacred Heart of Jesus is also is known as the Sacred Heart Cathedral. It isn’t a Roman Catholic church, but it is the cathedral of the Chinese bishop in Guangzhou. It is operated by the government, and they refurbished it several times. It was reopened in 2007. Now, mass is held each week in several languages. Chimelong Paradise is located at the heart of the Chimelong Tourism Resort area, which is one of the first 5A Tourism Area in China. Covering an area of 1 million square meters and invested with over 2 billion RMB by the Chimelong Group, Chimelong Paradise is blend of thrilling rides, stunning performances, and world class service. Since its opening in April 7.2006, the park has received millions of tourists, with the highest daily reception of guests reaching 50 thousand people.